Chances are that if you are using a tape measure you probably are using a square as well. HomeFixated reviews a product that combines the two into one. Sound like it could be a time saver; though it probably wont fit in your tape measure pocket. Before manufacturers came out with table saws with built it wheeled stands, or even portable table saws, people that were on-the-go had to make their own. Take a look at one mans solution from the 60's. When was the last time you cleaned out your dryer exhaust duct? If your duct becomes clogged with lint, it could end up leading to a fire. A Concord Carpenter shows us step-by-step how to clean out our dryer vent ducts. 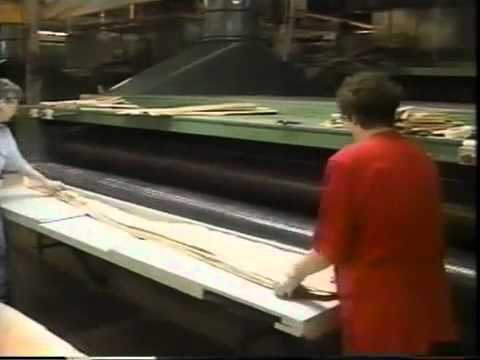 I have always wondered how wood veneer is made. This video shows the veneer cutting process for the many types of wood veneer patterns.